A traditional Lloyd Loom wooden framed chair, hand crafted from beech wood, with an attractive white and gold weave. 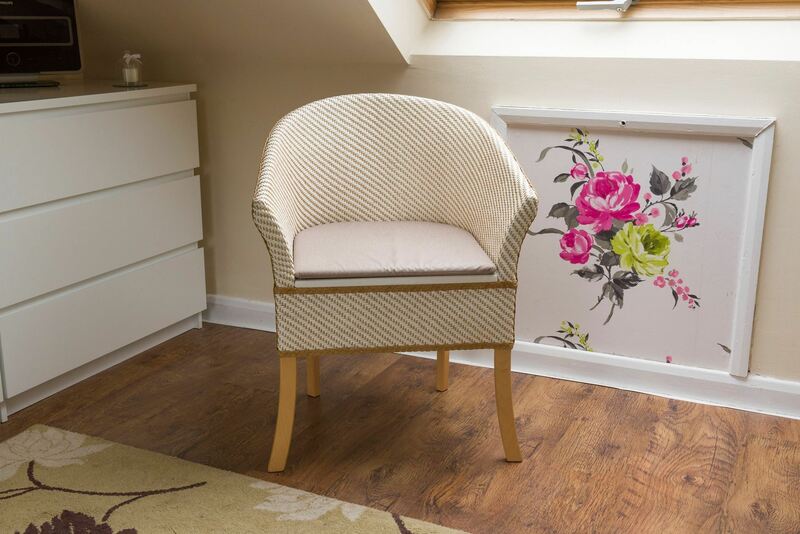 The chair features a hidden self-locking Ashby commode pan, concealed completely from view by the comfortable seat cushion. The high sides of the chair give support for the hand and forearm when rising from the chair, along with discreet privacy for the user.